If you don't have an unlimited cellular data (or if your network is one of those companies that cut down the speed of your "unlimited" data after a certain point), there are times where you find yourself going over the monthly data allowance and ended up paying the extra charges, despite using it at minimal. How to reduce data usage? Smartphones can eat up an incredible amount of data even when not in proper use. The following are some ways to cut down the data usage. Whenever you are in your house, friend's house or the office, chances are there are Wi-Fi available for you to use instead of your mobile data. Get into the habit of switching it and you will certainly land huge savings on your data usage. Simply turn off your data and turn on the Wi-Fi. Considering that you should have been connected to the Wi-Fi router previously, the connection will be automatic once you get in range, making this process even simpler. If you are those types that scrambles for public free Wi-Fi whenever it is available, then you can install an app that will assist you in searching for Wi-Fi spots close to you. For people who aren't exactly tech savvy, understand smartphones background syncing will drain a lot of the data. For example, an app might download an update whenever a new one is out or your smartphone might constantly check for any new email. Think what you will want to be updated in real time. Is there any app that doesn't need an automatic update or any of them have a frequent pop-up of push notifications? This will not only save a lot of data, but also the phone's battery life. For the app, you can change the update setting to either manual or have it only update in Wi-Fi. For iOS, go to "Settings" then to "Cellular." Scroll down to find the list of your apps that is constantly consuming your data. Toggle off everything non-essential. For Android, go to "Setting" then to "Wireless & Networks," followed by "Data Usage." From here you can select the individual app and have it to restricted use in background data. Set all of them to only update when Wi-Fi is available for use. This will save you tons of data since some app updates can be pretty huge and if you have it update automatically, you are going to find yourself quickly overusing your data allowance. Your smartphone default browser isn't the most efficient data consumer when browsing the web. Considering downloading a better browser. Opera mini, for example, can help you to achieve this as it compresses websites before you view them on your phone. This browser also includes the option for "video boost", which reduces the buffer times at the expense of quality. Moreover, loading images can consume huge data at times and the option to have these images of a lower quality or fully disabled is available too. This technique for how to reduce data usage is zero cost, as opera mini is a free software. Another big consumer of data is streaming services. YouTube, Vine, Spotify and various other music and video sites will use up your data quick. If find yourself repeatedly listening to the same tune or album while out at work or the gym, take the effort to download it onto your smartphone and continue enjoying them offline, rather than have it endlessly eating up your data from streaming. A single 16 GB micro SD card could store at least 1500 MP3 songs. If you need more space or your phone doesn't have a micro SD slot, you always get a micro SD adapter. Some apps allow you to save video/music for offline viewing. While it does require some space, you can always get rid of them when you want to save up more stuff. Or if you can just stop streaming on data altogether and see the huge plummet in the data consumption. Google map can eat up data loading all those landmarks, street names and other tiny little stuff. Thankfully, you can actually download the map for offline viewing. You would need to sign in to your Google Map from the app and search for your location. At the options drop menu, select "Download." The area map is now available for offline viewing. Alternatively, you can take a screenshot of the map and view it from your image album afterwards. If you are a frequent iCloud user, moving files here and there between devices, be prepared for the data spikes. Editing your Pages document on the fly will eat up your mobile data. All the changes and edits are being saved in real time to the cloud and the data will be used to process it. It's better to download the file, edit and re-upload it when you are done. You can turn off the cellular data usage for the iCloud. Simply open the settings menu and go to iCloud. Once in the iCloud section, tap iCloud once more. At the bottom of the scrolling menu will be the option to toggle "Use Cellular Data." Once disabled, the feature will no longer use the mobile data to constantly save and move files around. This will certainly reduce data usage. While it's an interesting concept, Wi-Fi can be disastrous for people without unlimited data. Wi-Fi assist supplements your weak Wi-Fi signal with your cellular data. As much as it might help, you might still be using the same amount of data, but with the Wi-Fi turned on to drain your battery. To disable it, go to settings and under "Cellular", you will find the option to to get "Wi-Fi Assist." Make sure it's off. For the ones suffering from weak Wi-Fi at home, you are more likely to use the cellular data than the Wi-Fi with the assist option enabled. This could be a reason why your data usage is unbelievably high even though you are using Wi-Fi all day. 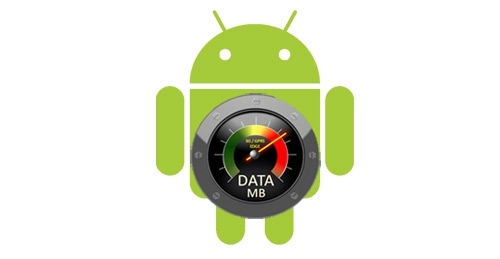 Google Play app updates are another cause of huge mobile data drain. Having your Play Store option for auto-update, even while on a data connection, will devour your monthly allowance in no time, often without you knowing. Check if the option is turned off. By default, it should be set to update only when Wi-Fi is available. Go to the Play Store setting menu and you will see "Auto-Update apps." Tap and change the setting to only update over Wi-Fi. You can change this option for individual apps as well, do this through the setting menu after selecting the app of your choice from "My Apps."